I saw the INVELLOP Leatherette Case Cover for iPad mini mentioned by a friend on Facebook one evening a couple of weeks back. I thought it looked interesting and when I saw it was under $15 at Amazon I decided it was worth a quick look. It turns out I stumbled across what would quickly become my favorite iPad mini case. 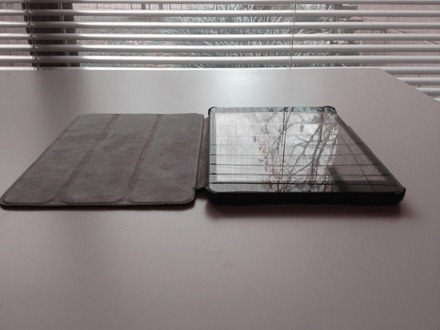 In fact, the short story here is that this is already my favorite case for an iPad of any size. 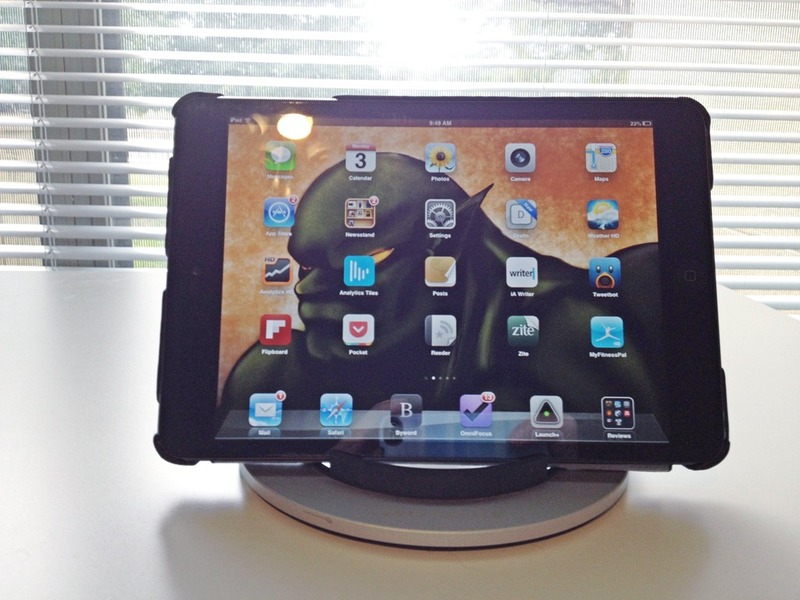 I think it’s everything Apple’s iPad Smart Case set out to be, and much more. I’m so glad I discovered it by chance via Facebook – that’s never happened before – and this case has wowed me ever since I took it out of its packaging. This is a one piece case; the front and back cover do not separate. The back is solid and the front cover is segmented so it can be folded easily when using as a stand. The exterior of the case is a leatherette material and the interior is soft microfiber. It offers a decent level of protection for the front, back, and sides of the iPad mini – while offering access to and cutouts for all buttons, the connector port and the back camera. It supports the automatic sleep/wake feature on closing and opening the front cover. The case comes in a range of colors including black, brown, dark magenta, grey, vintage blue, navy blue, lime green and more. I ordered a black one. I ordered mine for $14.95 on Amazon and as I write this post it is still in stock and available at that price. Almost too many to mention, but I’ll give it a go. — The iPad mini snaps into the interior frame easily and is held securely right away, even before the front cover is closed. It’s also very easy to remove the iPad mini. 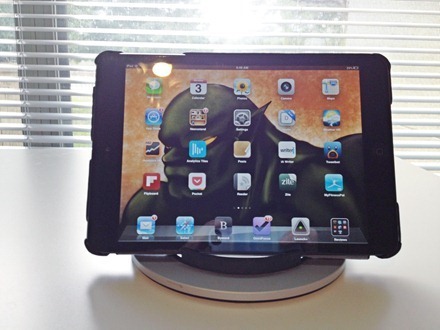 — This case fits the iPad mini like a glove. Like a perfectly tailored glove. It’s very thin and adds only minimal bulk or weight to the iPad mini – so it keeps a sleek profile and is still wonderfully light to work with. — The leatherette material looks and feels great. It feels better than the material on many cases I’ve paid four times as much for. I found it impressive right out of the box and that feeling has only increased as I’ve used it almost constantly with the iPad mini. — The sleep/wake feature works well, and the case doubles as a decent viewing / typing stand about as well as most folio cases. — The cutouts are all very precise and nicely done. Just about none to speak of. I’ve noticed one little bit of a loose-ish stitch around the bottom left of the case’s front cover. It’s a very small thing and has no practical impact in using or appreciating the case. This is just a superb case. It’s not a superb $15 case for the iPad mini – but a flat-out excellent case at any price. As I mentioned above, I liked this case lots right from the off and it has quickly become my favorite and will be very hard to knock out of that spot. 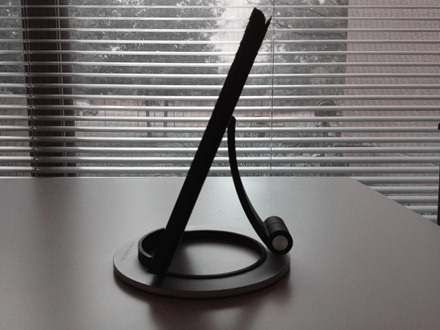 It’s the perfect combination of good looks; a sleek, perfect fit; slim and light style; and great functionality. This is what the iPad Smart Case should’ve been and more. I’ve already ordered another one, because I fancy having it in navy blue. 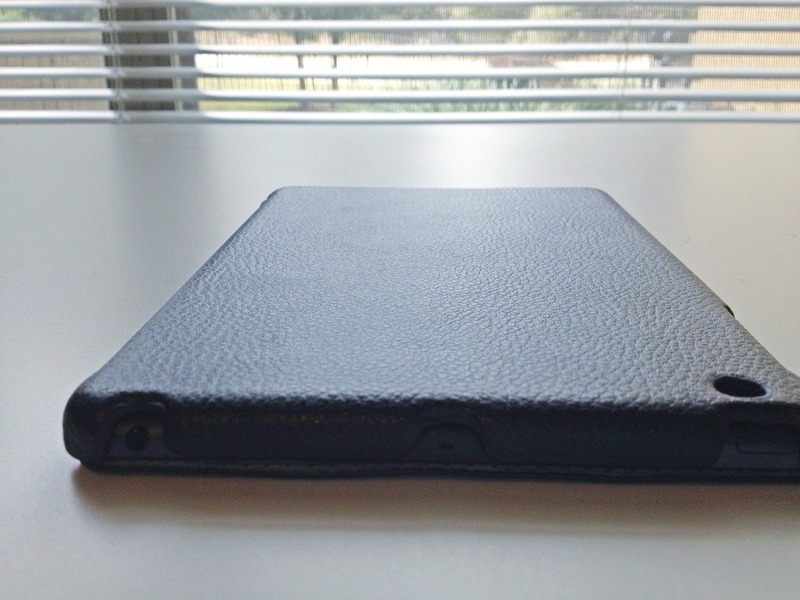 You can see more detail on the INVELLOP Leatherette Case Cover for iPad mini and place an order at the INVELLOP storefront on Amazon. Disclosure: This case was independently purchased by the post author. For information on our review policies please see our About page. 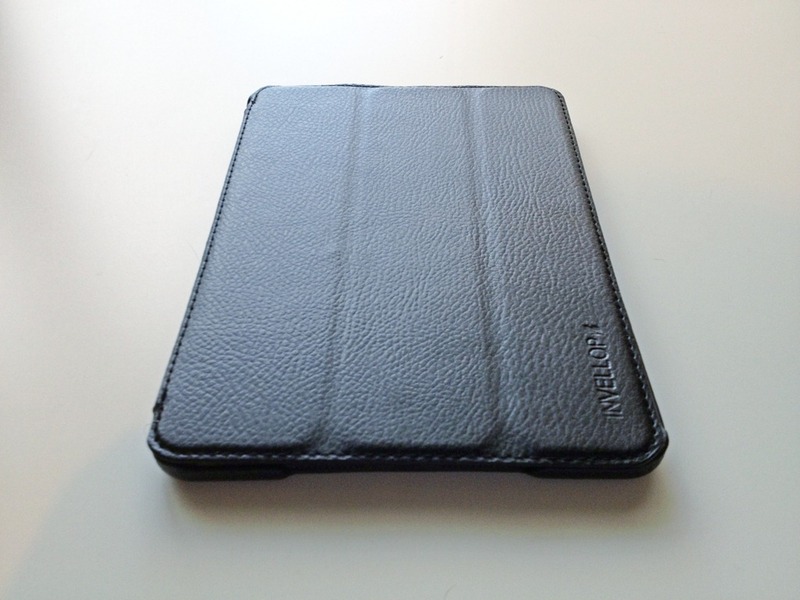 Your review turned me on to the INVELLOP Leatherette case. After doing some further research, I just ordered it. Thanks! 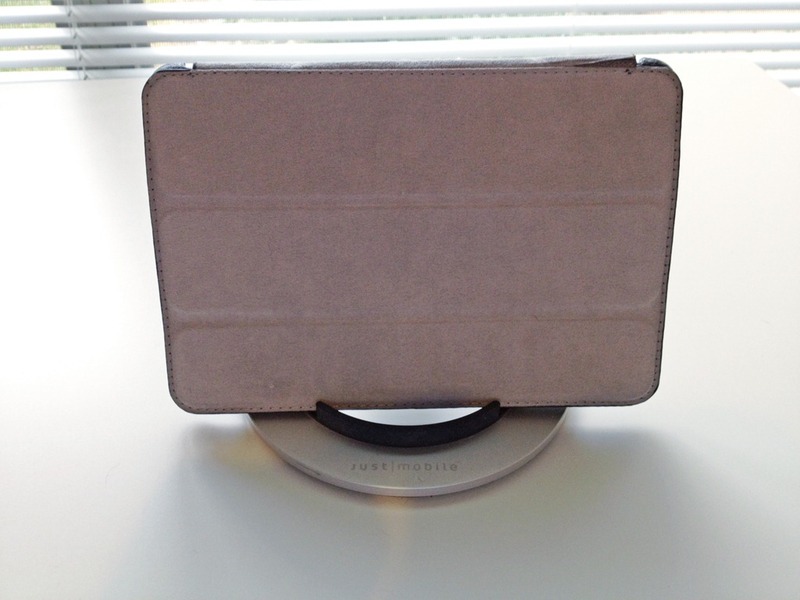 Do you know of any iPad mini cases that work with the Smart Cover? We have an iPad mini that is a favorite toy of our 10 and 6 year old and I’d like a little more protection than what the Smart Cover offers. Thanks! Love your site. Great review! Was wondering whether it’s held up or not over time! Also, what’s that stand you have it on? Looks a lot fancier and maybe better than the $2.95 mini-easel plastic stand we got from Joanne Fabric! 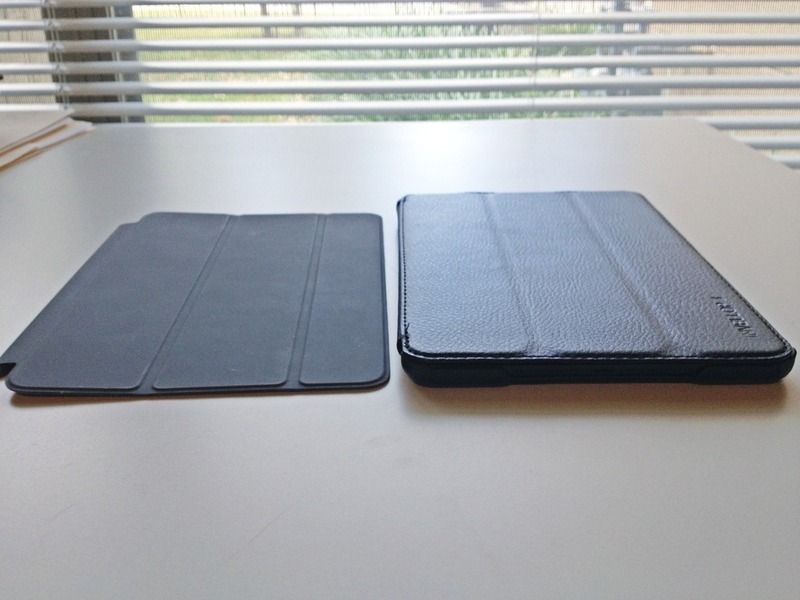 It has held up well, but keep in mind I use a number of different cases on my iPad mini – so my experience is not like that of someone who uses one case all the time.